The Pearls have a wide variety of natural colors. The basic colors include the cream, White, Gray, green and pink. 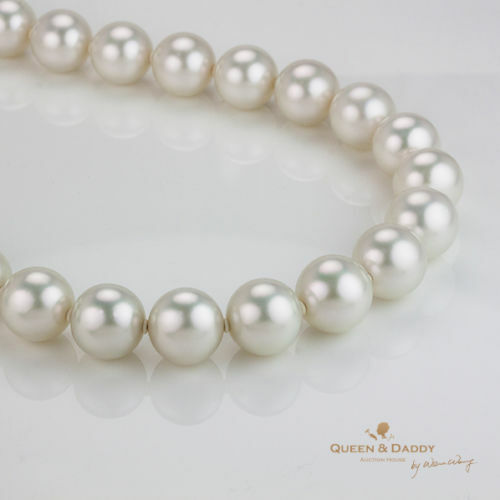 The Color of the pearl does not affect its value or its quality as much as other factors. 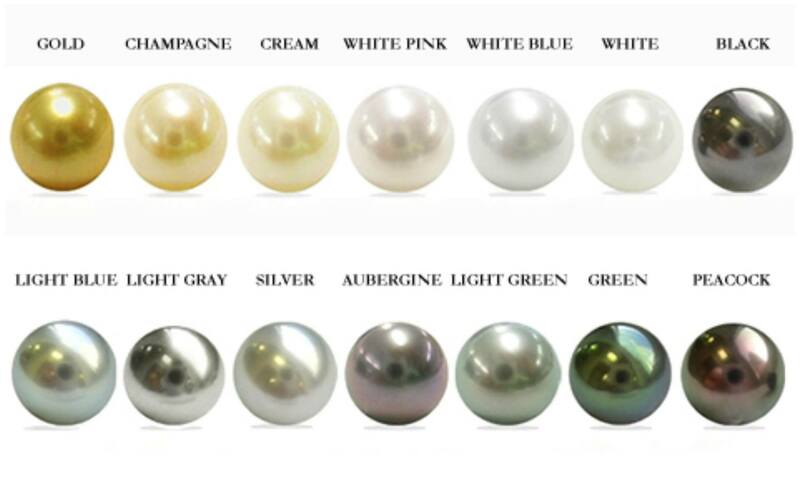 The most important aspects of the color of the pearl, judging by its quality, are the saturation and the distribution of the color. While the demand is mainly based on the personal preference of each client, the weird colors or more intense are often sold as extraordinary. 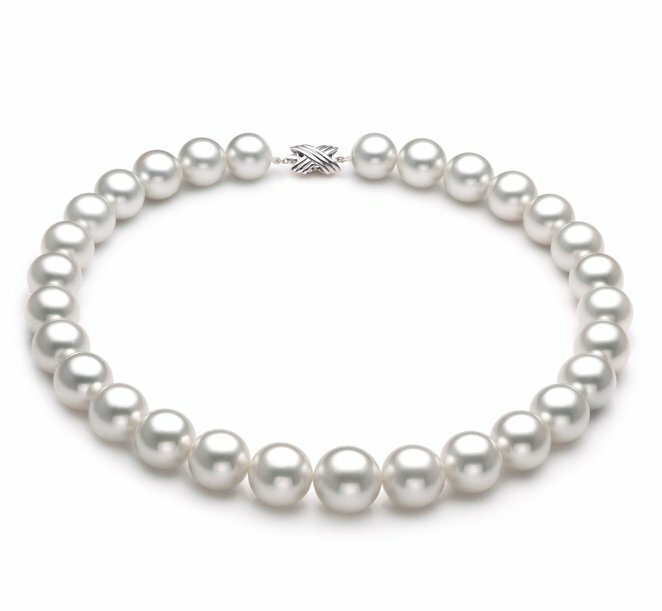 This gorgeous necklace is part of our Ultimate collection, the finest and most-extensive line of top quality South Sea cultured pearls available anywhere in the world. 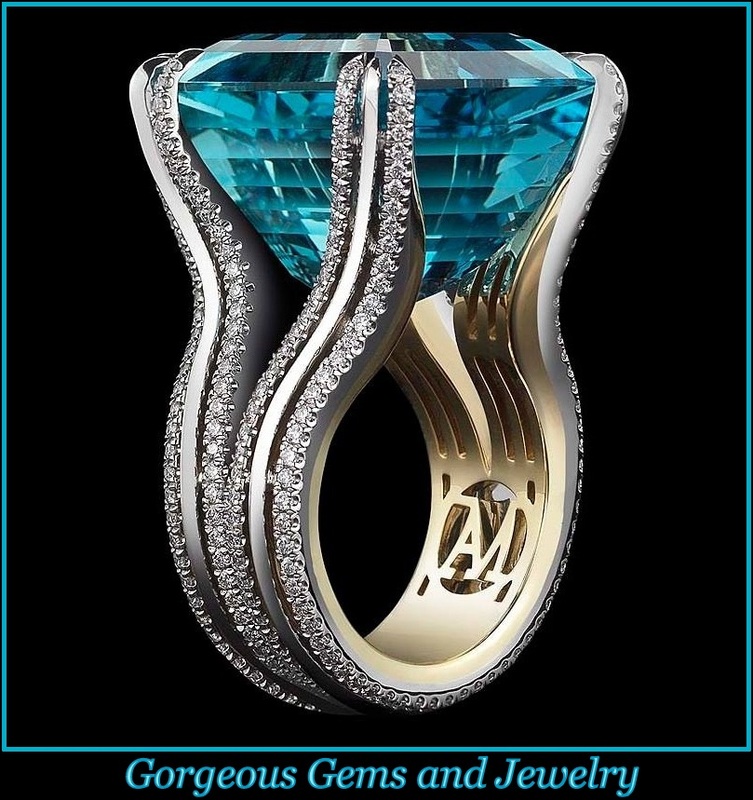 You will love wearing this very substantial 14 to 17mm size – a perfect size for those times when you need to impress. This terrific AAA quality necklace features outstanding AAA+ luster, perfect (and very rare) AAAA shape and AAA body. And its noteworthy that this necklace is AAA quality, the luster of this necklace is of the higher AAA+ grade and the shape is AAA+ which is also higher than the overall grade. This necklace is carefully hand strung, using the finest silk thread. 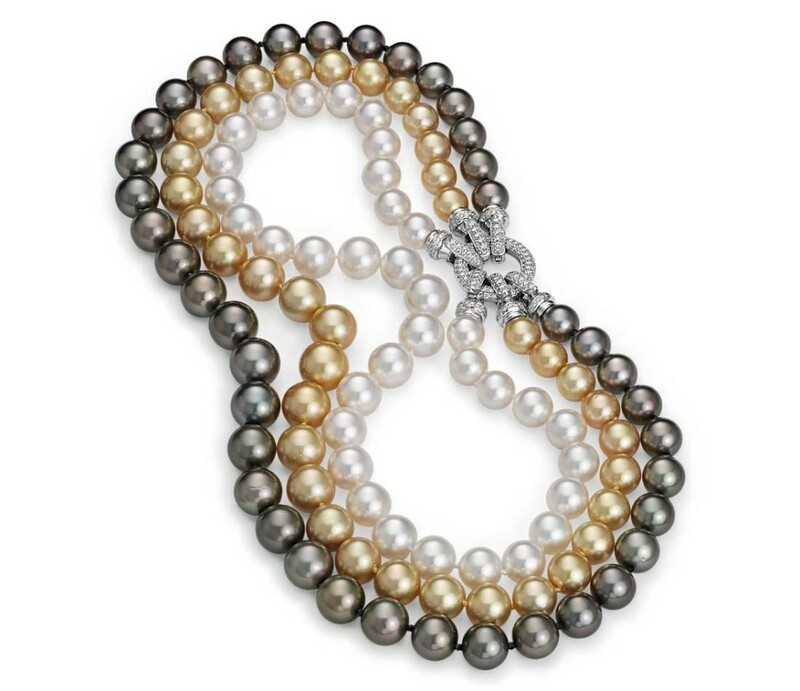 Double knots are hand tied between each and every pearl – to protect the pearls from rubbing against each other.